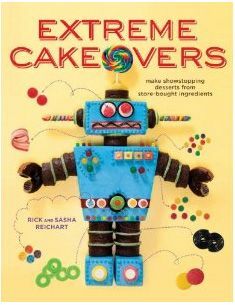 cakelava: Viva the Fabulous Las Vegas Cakes! Viva the Fabulous Las Vegas Cakes! 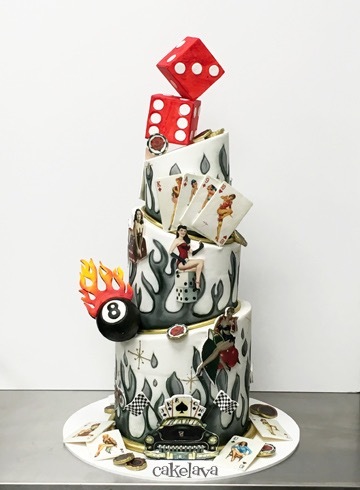 Our "Vegas, baby" cake, shown above, is Rick's retro and rockabilly inspired design complete with flames, a classic car with checkerboard flags, dice, devil themed poker chips, and plenty of pin up girls! 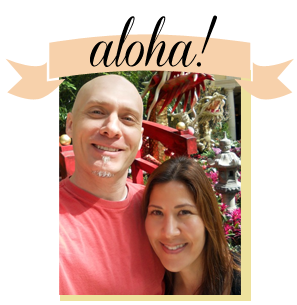 He went a little crazy with this one, but we're in Vegas, so crazy is totally acceptable, and encouraged! 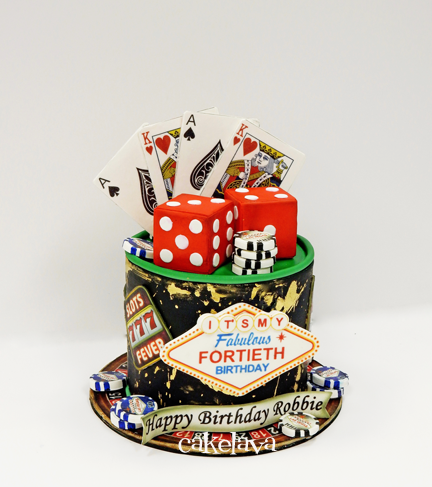 Turning 40 can be pretty fabulous in itself, but if you want to really celebrate in style, head to Vegas and order a Fabulous Fortieth Birthday cake, which is what Robbie and his family did. You're turning Forty, you've earned the bragging rights, so why not announce your milestone on your cake. There is no better place to flaunt your stuff than Vegas! Like Robbie, Rick and I chose Las Vegas to celebrate my Fabulous Fortieth Birthday. It was a birthday I will never forget! 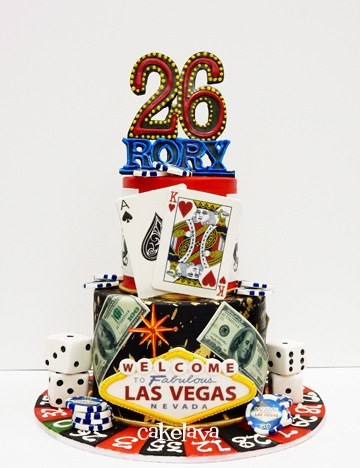 Like Robbie, Rory also celebrated his birthday in Vegas with a Fabulous Vegas themed cake. You can revisit our post of Rory's cake on the blog. We're in Vegas, and it was only a matter of time before we got a request for dice cakes, and this order came shortly after we opened. 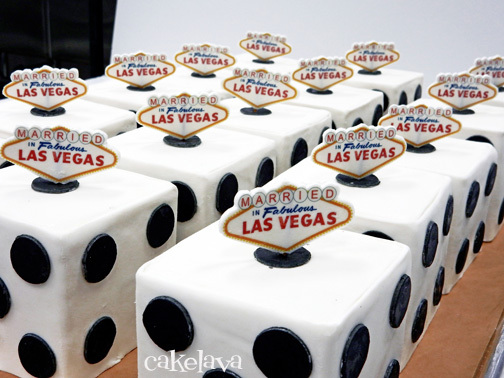 Rick made these dice cakes with the "Married in Fabulous Las Vegas" signage for a gay couple who recently celebrated their marriage at the Neon Museum. If you want to celebrate the fabulosity of vintage Las Vegas, being surrounded by the most amazing neon signs from the casinos, a visit to the Neon Museum is a must! When we arrived at the Neon Museum, we walked past a pair of Vegas showgirls who looked at least 10 feet tall! There was much excitement in the air and it was pretty clear, these gentlemen and their guests were ready to party!